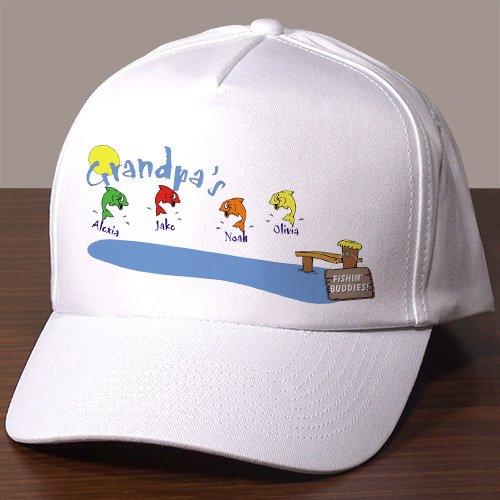 Fishing with Grandpa will be extra fun when he is wearing his Personalized Fishing Buddy Hat. A great way to always have his grandchildren along for a fun fishing trip even when they are at home with Mom. Make Father’s Day extra special with this Personalized Father’s Day Gift for Dad or Grandpa. Personalize your gift with any title and up to 6 names. Example: "Grandma's, Nana's, Grandpa's, etc."